By the early nineteenth century, congestion in London, particularly around the busy dockyards in the east, was acute, exacerbated by the presence of the foul smelling River Thames, which cut the city in two. The construction of more bridges might have helped relieve the problem but they would need to be built high enough to allow the passage of ships. Looking for an alternative, the Thames Archway Company was formed in 1805 with the intention of constructing a tunnel to run beneath the river. Richard Trevithick, a Cornish miner and engineer, was appointed to supervise the initial stages, digging a pilot tunnel or driftaway. However, the traditional method of shoring up the tunnel sides and roof with timber proved unsuccessful in these difficult conditions and after a series of floods, the pilot was abandoned just 200ft/61m short of its target. The Thames Archway Company was dissolved in 1809. In 1818, Marc Brunel patented a tunnelling shield made from iron, inspired by the head of the ship-worm which could bore through ship’s timbers. Miners would work in a series of compartments inside the shield, excavating sections of earth held back by heavy wooden boards, which were removed and replaced one at a time to allow access to the face. Meanwhile, bricklayers, working close behind the shield, would be constructing the tunnel lining. When all the earth within reach of the boards had been dug out, the shield could be moved forward to begin the process again. Convinced that the shield made the scheme to build a tunnel beneath the Thames a feasible proposition, the Thames Tunnel Company was formed in 1824 with Marc Brunel appointed as chief engineer. Work began near the church of St Mary’s Rotherhithe in March 1825. A huge cylinder of brickwork, 50ft/15.24m in diameter and 42ft/12.8m high, was built upon an iron ring. As the brickwork was completed, workmen dug away the ground inside and beneath the ring. The weight of the bricks caused the cylinder to slowly sink until its top reached ground level. The tunnelling shield was then lowered into the shaft to begin its laborious progress beneath the river. It had been assumed that the miners would encounter firm clay throughout their passage but the shield soon struck loose gravel and sand mixed with rotting sewage, making the work even more dangerous and difficult than expected. The foul air in the tunnel caused fevers and blindness. One victim was William Armstrong, the engineer-in-charge, who suffered serious illness. 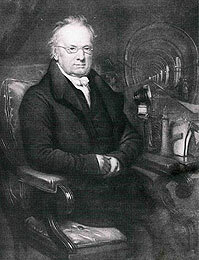 He resigned and Marc’s son Isambard was promoted to replace him. Eager to prove himself, Brunel often spent days at a time underground, taking only short naps between shifts, lying on a bricklayer’s stage beside the shield. Fearful for his health, Marc assigned him three assistants in a vain attempt to reduce his punishing workload: one died of fever, another lost his vision in his left eye. Although the bricklayers worked fast, there was always a risk that the water would break through the unsupported gap beneath the riverbed that was exposed each time the shield was moved forward. On 18 May 1827, the river burst in and a great wave rushed through the tunnel. Fortunately, the men had time to reach the shaft and were able to climb the stairs to the surface before the tunnel flooded. 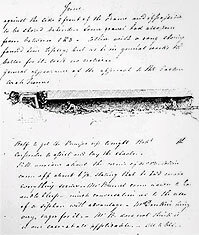 Displaying his typical bravery, Brunel rescued an old man who was struggling in the rising water by sliding down an iron tie rod and securing a rope around the man’s waist. While standing there the effect was – grand – the roar of the rushing water in a confined passage and by its velocity rushing past the opening was grand, very grand. I cannot compare it to anything, cannon can be nothing to it. At last it came bursting through the opening. I was then obliged to be off – but up to that moment, as far as my sensations were concerned, and distinct from the idea of the loss of the six poor fellows whose death I could not then foresee, kept there. The sight and the whole affair was well worth the risk and I would willingly pay my share, £50 about, of the expenses of such a ‘spectacle’. With his injuries, Brunel’s association with the tunnel ended. Although Marc was again able to fill the breach, work came to a halt as the finances were exhausted and business confidence in the project was lost. Marc persevered and work finally resumed in 1835. 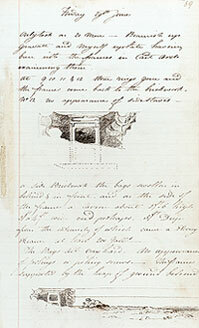 The Thames Tunnel was opened to the foot traffic on 25 March 1843. It was the first tunnel to be built under a navigable river and hailed as the eighth wonder of the world. In 1869, it was converted to carry the East London Railway. Today around 14 million passengers travel through it each year.